Tictail creator Evan Z. Crane is making the modern, unique pieces we want now. "I prefer to create pieces that have genuine personality and stand the test of time — things that are around long after I exist," Evan Z. Crane explains. 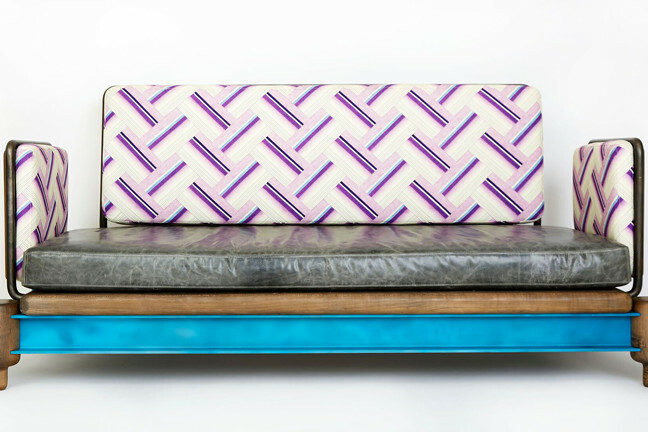 The furniture maker and artist describes a creative approach to design in which he assigns character to his pieces. And, to be frank, we want to be friends with each and every personality in his collection. After working with Crane while planning our Lonny Living Room x Tictail event last month, we became curious about the stories behind his work. 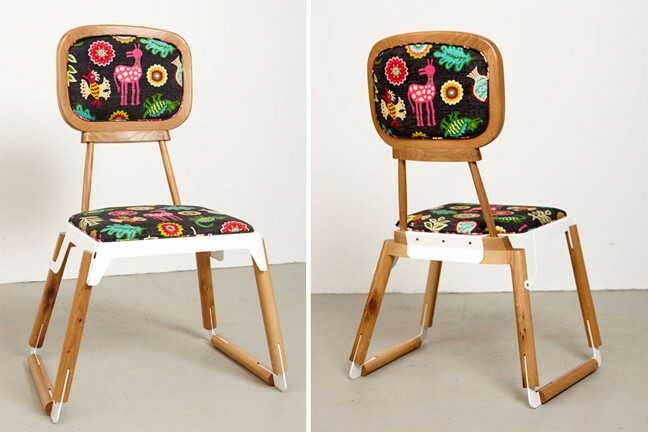 The artist makes mid century furniture with whimsical character. And, it's rather clear that while creating these works, Crane is personifying inanimate objects (something we have a tendency towards, too). 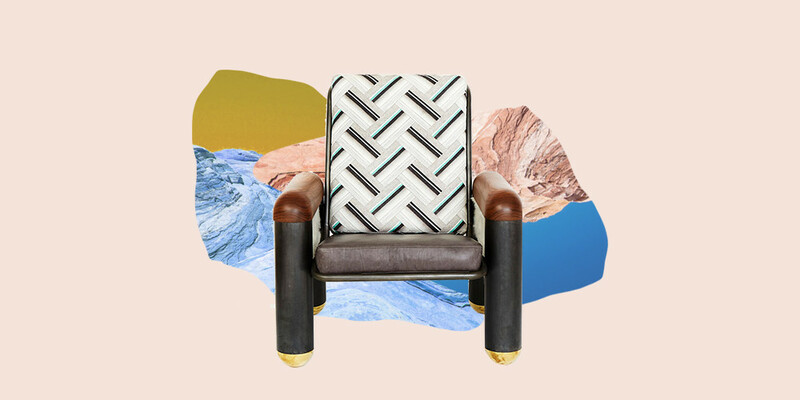 With works available at Tictail's marketplace and a truly unique artistic flare, the Brooklyn-based maker brings a fresh creative perspective to the room — one unlike any other. Crane starts at the beginning: "In art school, I started out studying painting and sculpture. Furniture making isn’t how I went about it." He continues to explain that making things was always in his regimen — since he was a little kid. "At some point, I started doing large scale sculptures out of big, wooden beams and timbers from old buildings. I'd find them on the street and in dumpsters. It all began with small-scale furniture, and as I kept experimenting with it, I refined my style." An authentic story of discovery and passion pursuits unfolds as Crane continues to explain how he gradually introduced new elements and shapes into his works. 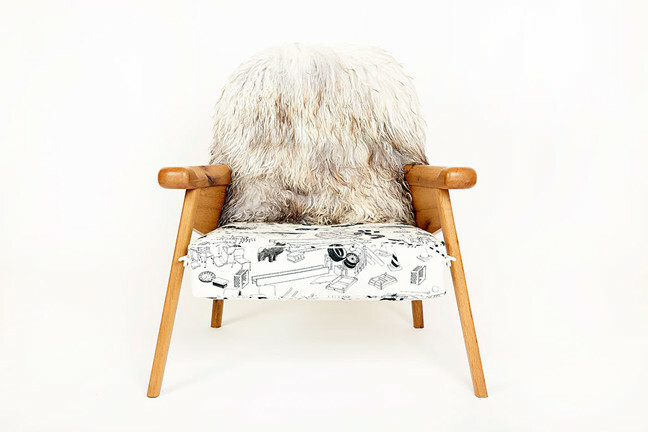 "I'd find materials like metal, hides, fur, different patterns and upholsteries, and integrate those into my work. From there, I was hooked." Courtesy of Evan Z. Crane. The 1950s was undoubtably the era for timeless furniture creations, which now plays a role in Crane's design process. 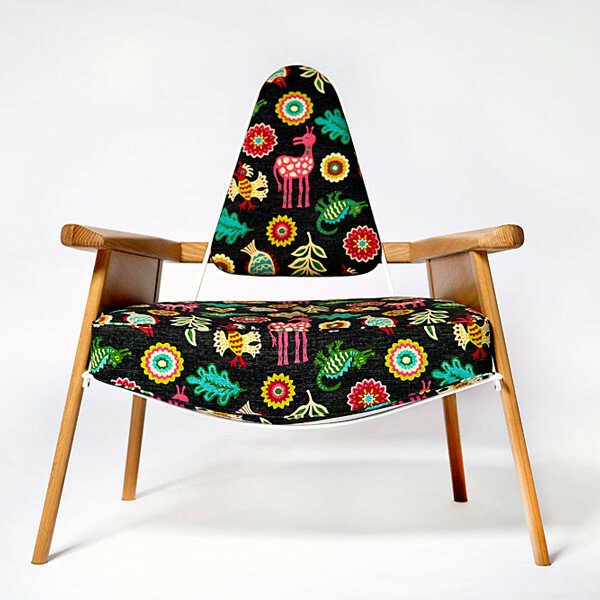 Mid century works can span from carefully crafted chairs to minimal yet functional designs. Crane's pieces, however, are a happy marriage between Scandinavian aesthetic and maximalist details. "I try to incorporate fabric in every piece I make. I like to impart some sort of character with the piece. That comes from the sculptural background — trying to give the piece a life of its own." Although choosing a favorite personality from his collection is a tough call, Crane has one piece that holds a certain specialness. "It's one of the first ones that really stuck with me — the Fuzzy Captain. I spent so much time on this particular version, and I kind of re-fell in love with it." So, where does the inspiration for these characters come from? Materials. "I'll see a pattern, and an entire vision will ensue. This is true with the monster print pattern [below] and the Icelandic sheep hide. Sometimes you'll find shearlings with parts that haven't been totally sheered, with an extra tuft of hair or something — that's the part that will set off an idea." Because he's city based, Crane finds tons of other inspiration from the industrial world around him. Common objects like playground equipment, old fire escapes, and iron fences tend to spark his creativity. And finally, as a dad, the artist also finds inspiration in his day-to-day needs. "Having your first child is one of those few times when you have a chance for your brain to completely change. It doesn't happen often as an adult, as much as I'd like it to. You go from thinking in a singular mindset, as an independent person, to being plural. And in turn, this changed the way I thought about furniture." Crane's approach to creating is by no means a surface-level process. His creations are profound reflections of his thoughts and lifestyle. The designer explains that while creating, he's constantly thinking about what he and his family need at home. What would make it more interesting? More convenient? Finding ways to create for oneself rather than an audience is no easy feat; yet, his approach allows him to create for functionality and personal purpose. To see more of Evan Z. Crane's work Tictail's website and his always-updated Instagram. And, stay tuned for more pieces to come!